Release of author William Jay’s book/audio “The Ephemeris/Voyages in DwREAM” opens up new dimensions of literary and musical creativity through an innovative art form called “DwREAM” from publisher/producer Music of Words. The book design for the Print version of “The Ephemeris” hearkens back to the early traditions of illuminated designs, with elaborate, Celtic-like 4-color borders and a printed cover that feels like leather. There are 26 sepia and color illustrations placed throughout. All artwork is original. It is very decorative and will display nicely on coffee tables or library bookshelves. The audio component is comprised of 7 CDs and has an approximate run time of 8hrs. 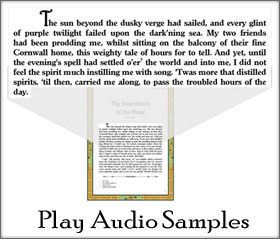 The two components, print (“The Ephemeris”) and recorded (“Voyages in DwREAM”) are sold together as a single work of art in the DwREAM format, at a bundled/package price. However, they are also offered separately for those who prefer to just read the book or listen to the audio. A truly “Powerful” and “Captivating” experience, DwREAM offers almost Blue Sky for artists as well as entrepreneurs. The marriage of music and literature can be applied virtually anywhere from classics to comic books, and the ease and minimal cost of electronic distribution makes it possible for rapid growth of such a product in the digital age. Music of Words has a variety of products in its pipeline. “DwREAMY” publishing format is an Innovative fusion of Music and Literature that may offer Good News for “Big” publishing. If the formerly secure role of traditional publishers and music companies is a diminishing one—one reason is that the potential for added production value in books and music is falling. E-books and P.O.D. (print on demand) printed versions of books from independent and self-publishers have encroached on sales. Music production too, once limited to “The Industry,” is now possible with a small investment in software. Yet if “Industry” media is to grow, it needs to expand into the digital formats where they are losing ground. DwREAM (Pronounced Dream) is an acronym that stands for: Dramatic Writing and Reading Entrained and Articulated by Music. This innovative literary format is a fusion of Dramatically performed Literature and Music that lends itself well to Digital Devices such as the IPad, Smartphones and Notebooks. DwREAM is a high-production value product that combines the talents of writers, composers, actors and sound technicians, as well as the usual print publishing team, to create a product that is read and listened to simultaneously. It has “literally” blown away audiences in extensive marketing tests. A higher production value means a more secure role for Companies who can bring capital resources to a project and, by adding value, earn a higher rate of return. The first expression of DwREAM comes in “The Ephemeris, Voyages in DwREAM,” a Book/Audio package by author/composer William Jay. Music of Words Productions was started in Ann Arbor, MI in 2007. In the works are other DwREAM products and product lines. 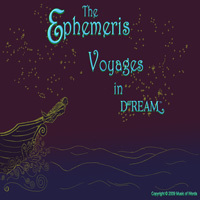 “The Ephemeris” will be available in e-formats at a future date to be announced. 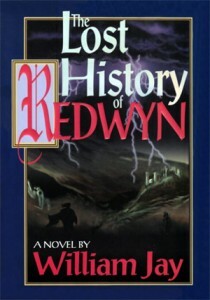 William Jay/ American author received wide critical acclaim for his novel, “The Lost History of Redwyn” (a loose prequel to: “The Ephemeris”). Music of Words Publicity Dept.